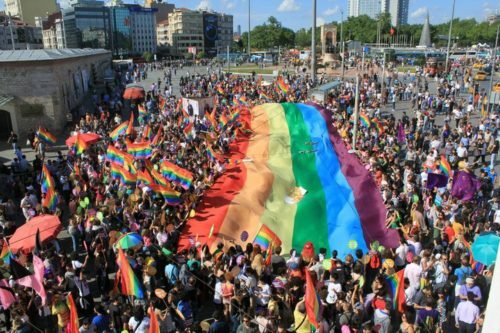 This 2011 Pride celebration in Turkish capital, Istanbul, drew 10,000 people — a number that grew tenfold by 2014. It became the largest Pride in a Muslim nation. In 2015, however, Turkish police disrupted the parade with water cannon, Reuters reported, and in 2016 and 2017, the government banned the event altogether, citing the Muslim holy month of Ramadan. In 2017, police attacked 100 protesters in side streets with tear gas and rubber bullets, and they arrested 40, Euronews reported. Homosexuality is not illegal in Turkey, which had once bid to become a member of the European Union. But homophobia is common, particularly as the once-secular country comes under the control of conservative Islamic forces.